Nobody likes dirt, especially at the workplace. Take a look around your office space? Do your employees have cluttered desks? Are the trash bins overflowing? Do the floors appear to be a different color than what they should be? If you do not remember when the last time you had professional green commercial cleaning, then it’s probably time to call the experts in. Taking care of everything from your bathrooms to your conference room, there’s little that compares to a good ol’ clean. Not only is a professional deep clean a wonderful way to make the office sparkly, but the endless benefits are sure to prove our point – clean is awesome! As a well-renowned business, your morale matters. First impressions make all the difference, and with a good ol’ clean, you can portray the type of business you should be proud to call your own. Although it may not seem like the end of the world, disorganization often relates to unprofessionalism. You don’t want that. Adhere to your company standards and present the image you want others to know you by – and let the professionals help you show off. Creating a positive energy and stimulating your employees to honor your standards, you can have the work space you have always imagined, and we are here to help give you just that. Not only will cleaning boost your image but it will create an inviting and welcoming space making your office feel just like home. 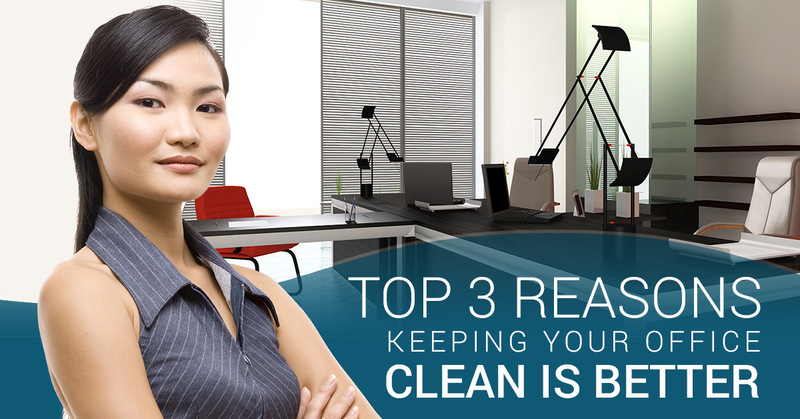 When the office is dirty, it invites germs to linger and bacteria to accumulate. Reducing the spread of germs and making the workplace a safer and healthier environment for everyone, routine green commercial cleaning is a wonderful way to cut back on illness throughout the year. Do not ignore what can be avoided. Eliminate the spread of sickness and take control of your employees’ well-being. It’s said that the dirtier an office is, the less productive people are. While there is no concrete evidence of this, we do know one thing: when employees are asked to work in a dirty environment they get less done because they feel tired, can’t find what they need, and simply do not work as hard. Giving your employee a place they can respect, it is more incentive for them to uphold higher standards, have a better attitude, and take pride in the work they do. Office organization encourages productivity, and we are here to help you established efficiency. Think it’s time to have your commercial business cleaned? We do too. The importance of having a clean office is not overrated. Your office can never be too clean. With regular upkeep, your employees will be happy and thank you for the environment they get to work in. Is the thought of cleaning your office as often as it needs overwhelming? You don’t have to take care of the cleaning alone. Simply give us call. Making dirt a thing of the past, and showing you what spotless feels like, we invite you to check out all of our green commercial cleaning services and schedule your appointment now.